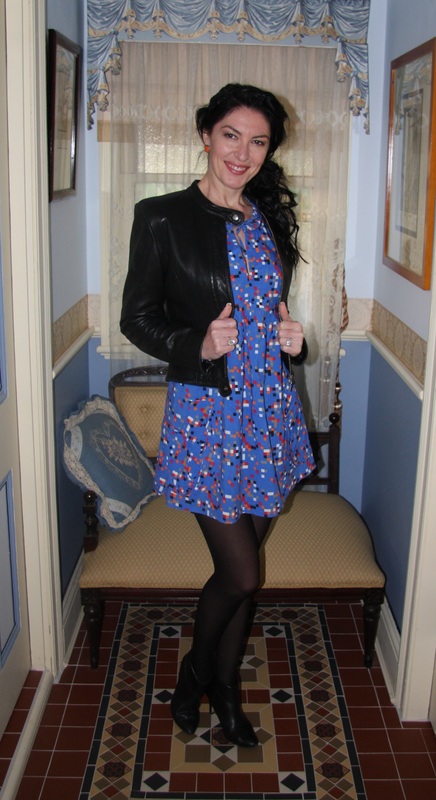 Outfit: Royal blue smock dress in graphic print, featuring keyhole neckline and balloon sleeves, black miniskirt underneath, black leather biker style jacket. Hair: Worn in a sideswept ponytail with a black beaded heandband. Accessories: Black hosiery, orange square costume earrings.